Whether you’re coming up on a recommended oil change, your “check engine” light just blinked on, or there’s been a suspicious rattling sound in your engine block for weeks, when it’s time to schedule auto service in Midwest City, Norman, Edmond, Moore, or Oklahoma City, it’s time to call Hudiburg Toyota.Our modern service center offers the finest staff, systems, and products to give you the ultimate peace of mind when you drop off your Toyota for work. Highly-trained technicians are on hand to complete service quickly and efficiently, so you can get back on the road faster. And for all of our services that require replacing or installing equipment, you can be sure that your Camry, RAV4, Highlander, Prius, or Tacoma is getting the best new genuine Toyota parts. For all makes and models, we stock great new products to fit any vehicle that you bring in. In need of something specific, like upfitting, customization, or a specialty service? Give us a call and we’ll let you know what we can do, and even estimate a cost for you. The service professionals that we’re fortunate to work with boast years of experience working on all makes and models of vehicles. Whether you drive a Toyota, a domestic car, a foreign import, or a luxury car, you’ll enjoy the same level of high-quality service as the rest of your friends and neighbors at our OKC car repair shop. Treat your car to the best, and it’ll do the same for you. 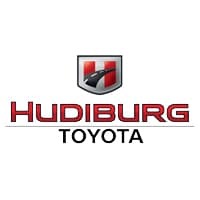 Trust the experts at Hudiburg Toyota to provide world-class service and cutting-edge equipment; schedule your appointment online today to get started toward a better, brighter future with your car. We have free wi fi and cable T.V.